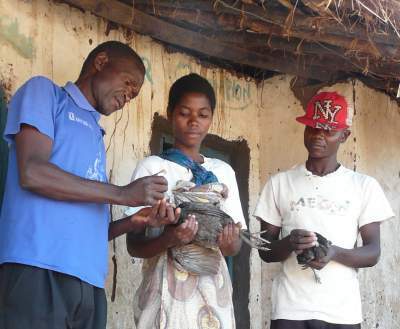 The "Chickens for Africa" photographic competition is a fund-raising campaign to support the Rural Poultry Centre in Malawi and the Brisbane based KYEEMA Foundation in their work to assist rural African farmers through improved village chicken production. It is open through to 30 June 2018. Our fund-raising target for this campaign is AUD $10,000. One generous person has already kick-started this campaign with a donation of $500! You can submit a photograph, or you can just donate, or you can do both. We will love it either way. All donations are tax deductible in Australia. To be eligible, photographs must be digital and most formats will be acceptable. Send a maximum of three photos to us at the email address below, if necessary by separate emails. (Try to avoid single emails over about 6 MB.) We encourage inclusion of a caption or some short explanatory notes about the photo. You will receive a return email to confirm details and to confirm that you have read and understood the full terms and conditions of entry (here...). Help us reach our target of $10,000. As mentioned above, we've already got a kick-starter of $500. It will help if you let KYEEMA know that your donation is for the photographic competition. 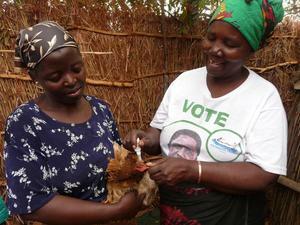 Just add a note "Chickens for Africa" in the box entitled: Where should my donation have impact? on their web site. Because this is presently the only practicable method for RPC to receive electronic donations. The KYEEMA Foundation is our affiliate organisation and they assist in administering our finances. They will hold the funds on our behalf and will forward the hard currency to us when we request. This is a secure and reliable process for which we as an organisation are very grateful. KYEEMA accepts both credit card and direct deposits. Check your options. For smaller amounts, credit card payments may be preferable to international electronic transfer because they generally incur a lower bank charge at the receiving end. When you have completed this step and your deposit is confirmed by the bank, KYEEMA will issue a tax-deductible receipt.